I was interested in ham radio as long as I can remember. As a boy, it was fascinating watching my uncle, W9FJ (SK) talk around the world with the radios in his basement. I finally got my Novice (WN9FRG) license when I was 16 in December of 1970. The next summer I upgraded to Advanced (WB9FRG). As soon as I was eligible I upgraded to Extra class. As I moved around I changed call signs to W0XT and finally W9XT which I have held since 1977. My interest in electronics and amateur radio led to pursuing a degree in electrical engineering at the University of Wisconsin. 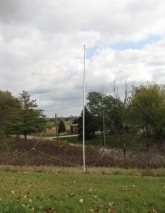 While there I became a member of the Badger Amateur Radio Club, W9YT. At the time, it was one of the top contesting stations in the country. That sparked my interest in contesting, which is still my main interest in radio. To those not familiar with radio contesting, it is a competitive event. It is usually sponsored by a radio organization or magazine. A specific time period, usually 24 or 48 hours is specified. During that time the participants try to contact as many of the other participants as possible. The score is usually based on the number of other stations contacted multiplied by the number of geographic areas contacted. The geographic areas might be states, countries, state counties, etc., depending on the format of the contest. The nearest analogy to radio contesting is probably automobile racing. To win that, you want to have the best car and the best driver. 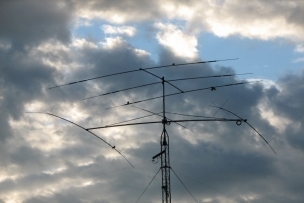 In a radio contest the best station and best operators have the advantage, but variation in radio propagation is the wild card, and anything can happen. With the extended low sunspot period I have cut back on contesting, but still seriously operate the ARRL 10M contest, the major DX CW contests, and the Wisconsin QSO Party. I also do Field Day, and only missed it once since 1971. I was in Africa the year I missed it. Between contests my main activity is DXing. I have all current countries confirmed for DXCC, plus 5BDXCC, WAZ, etc. My favorite mode is CW. 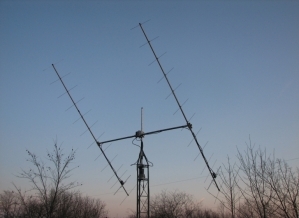 My favorite band is 10M, but it has been a number of years since we had decent conditions there, and I have been concentrating on 40 and 160M the last few years. Tower 1. 50', next to house. More info. Tower 2. 60', NW of house. More Info. I also play around on other modes and bands. VHF weak signal work is a lot of fun and I jump into that during the warmer months. I especially like meteor scatter. 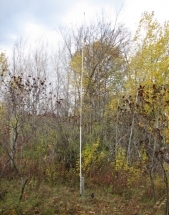 I put up a small EME (Earth-Moon-Earth) array for 2M in late 2009. I'm having a blast working stations around the world bouncing signals off the moon. The ultimate DX! From time to time I get into things like PSK31, QRP, satellites or other activity. There are so many interesting things to try in amateur radio, and I know I will never be able to try them all. 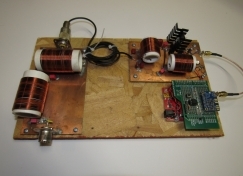 I also like designing and building some of my own radio equipment. Some of the projects are described on this site. One of my projects was a PC based voice keyer. The project soon got out of control. 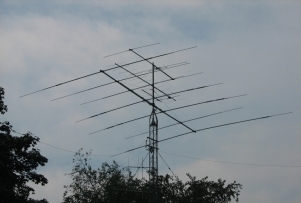 An article describing it was published in QST and reprinted in several editions of the ARRL Handbook. I started selling kits commercially, and ham radio products became the main part of my side business, Unified Microsystems ( www.unfiedmicro.com ). I hope you find some of the information here interesting and hopefully useful. PowerPoints for presentations I have made.